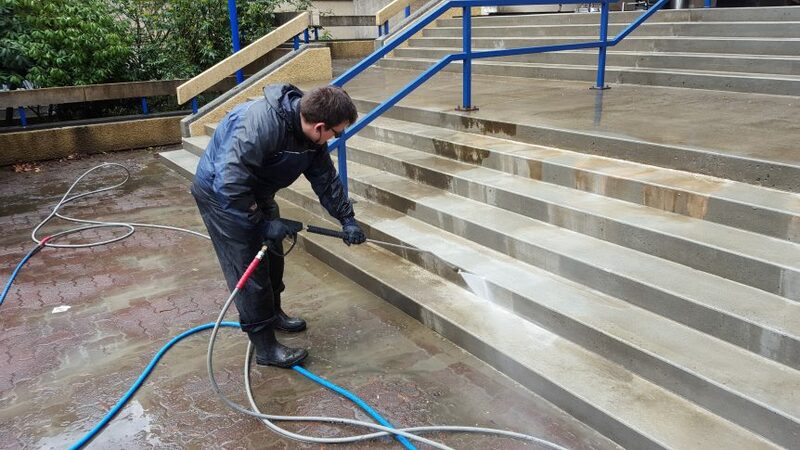 Cape Town High Pressure Cleaning Services. In Need Of High-Pressure Cleaning In Cape Town? We’re The #1 High Pressure Cleaners In The Western Cape. High-Pressure Cleaning – Cape Town: There isn’t any doubt that beautiful and clean driveways boost the curb appeal of any property. However, it’s not always fun or enjoyable cleaning a driveway. In fact, it can be difficult, tiring and inconvenient getting rid of tough dirt and grime, not to mention grease and oil spots, which gathered over time. Thankfully, with high-pressure cleaning technology, this hassle just vastly improved. Whereas you’d have to treat your driveway with numerous treatments to achieve the same outcome you would receive using high-pressure cleaning, you now only have one process to invest in. This saves you a lot of resources you can use on other areas of your home’s upkeep and maintenance, and you can look forward to keeping your property in an excellent condition throughout the year. Contact Painters Cape Town to get a quote!